Hot Pattern-A-Day: Pattern #5 | Committed. This is a little bit of a cheat, but I liked #4 so much, I created a couple of different colorways. 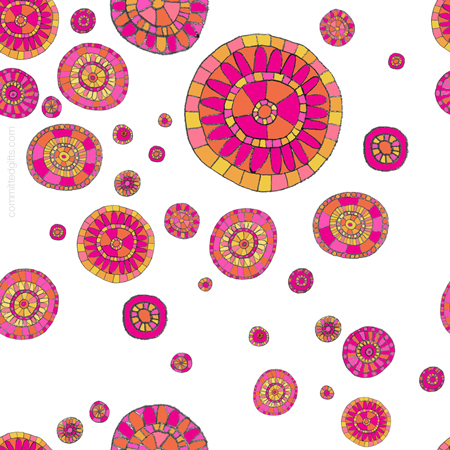 I can see these sunny amoeba-flowers gracing a tote bag or little clutch. Of course, I post these here for electronic use, but maybe someday I’ll get into textile design. 🙂 So download away, friends!